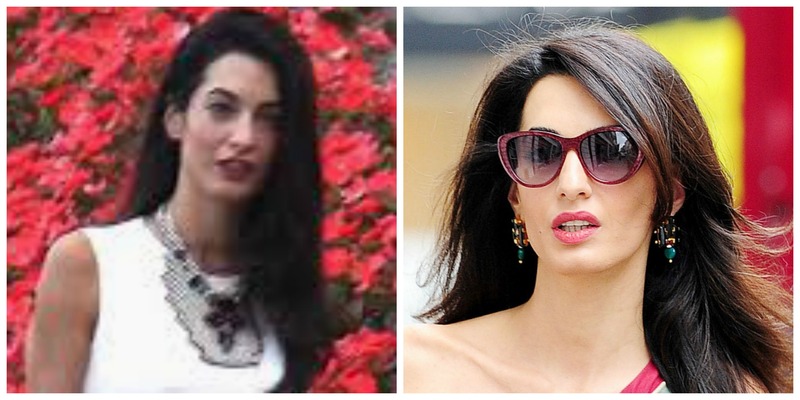 Amal Clooney’s statement necklace and earrings by Akong London are still available ! It is shopping time ! 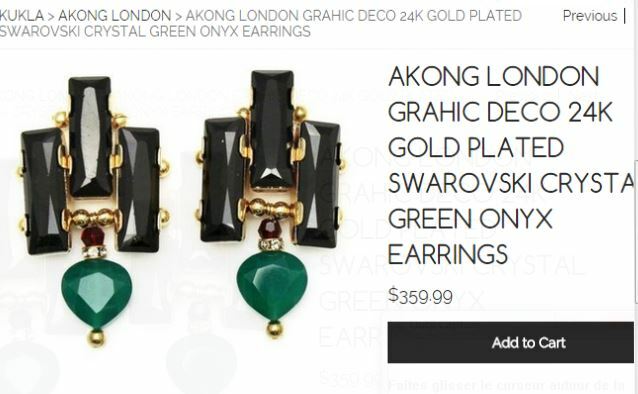 I found the beautiful necklace and earrings by Akong London on sale and still available on Kukla envy store. These earrings are so gorgeous but totally out of my budget, sadly. 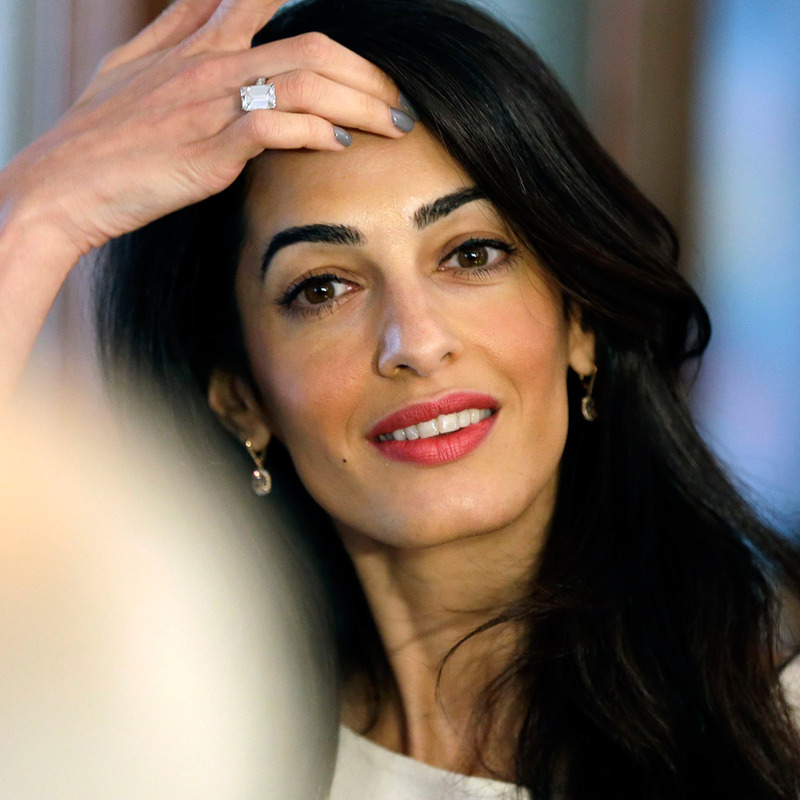 Amal has wonderful taste. Incidentally, I saw your blog linked on two other entertainment websites. Akong London should be paying you for all the free publicity you are giving them! 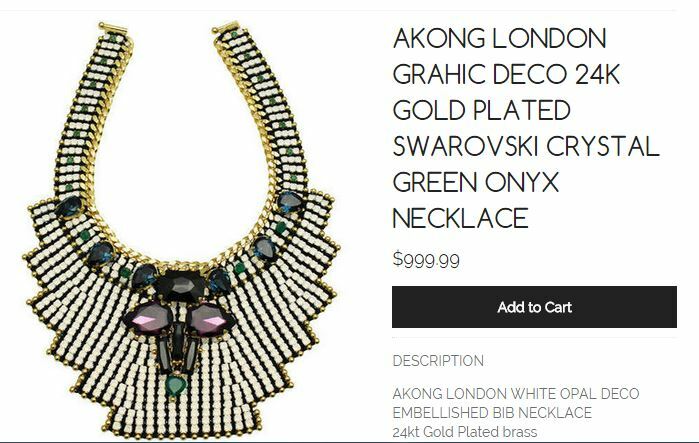 The statement necklace is so beautiful. I love her clothes, but everything she wears is so expensive! Totally out of my budget. For me too, so i try to get the look for less. Such beautiful stuff, but wow, so expensive. Too rich for my budget! Yep, too expensive also for me. I love her style, she’s like a modern day Jackie O. and of course she’s not copying Jackie O. She’s owning who she is but I can’t help but think it. Its how she hold herself. I love her style highs and lows (in prices), also like Jackie O. and Kate Middleton. My post is ready. Yesterday, it was a very busy day for me.